The nip in the air as you open the windows in the evening makes you crave for some soup which is wonderfully soothing and warming. The fresh winter vegetables and the balance of spices and herbs makes a perfect combination for a cozy winter evening. 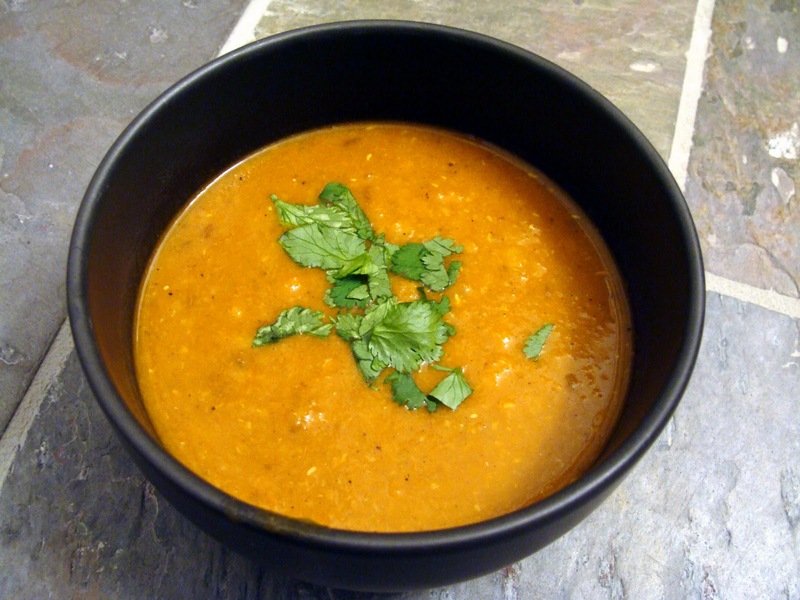 Mulligatawany soup is a soup packed with bold flavors and nutrition. This piquantly flavored soup is a meal in itself and has a complete Indian feel in itself, making it the national soup of India. I have heard people enjoy the meat version of this soup more, but being a vegetarian I enjoy the veggie version of this soup. 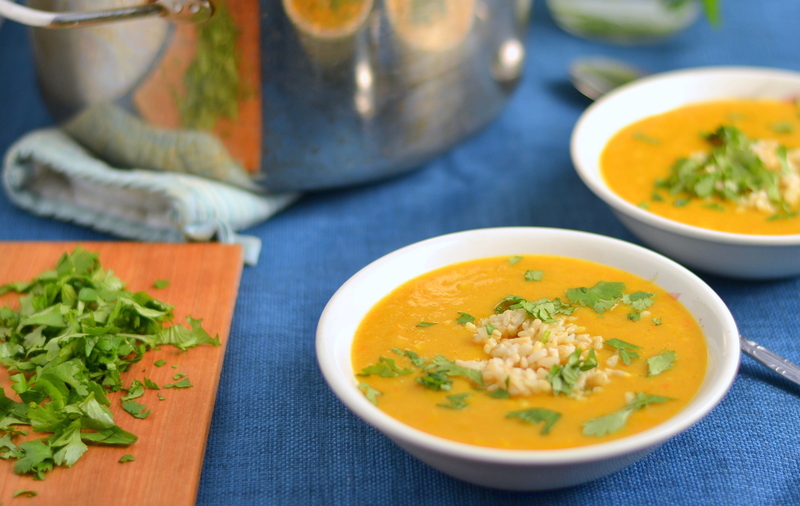 The wholesome soup is endowed with lentils, vegetables and spices, making it super easy to cook. It’s my family’s favorite soup (and meal too) and I love to cook it very often. It’s satisfying, it’s delicious and I feel I cannot stop raving about how awesome it is. So make sure to try this recipe as soon as possible. You may change the proportions of the vegetables in the soup depending of your palate, but do not omit any ingredient. In a pressure cooker heat the oil. Add garlic and sauté it until it’s a little brown. Add chopped ginger and onion and sauté it until it’s translucent. Add chopped carrots and tomatoes in the pressure cooker and sauté it for a minute or so. Add the soaked red lentils (drain the water) and sauté it too. Add turmeric, curry powder and mix it well. Next add 5 cups of water and allow the mix to cook for 3 – 4 whistles. Once the mixture is cooked and cooled, pass it through a fine sieve. Take the soup and put on medium flame. Add coconut milk, salt and black pepper to taste. 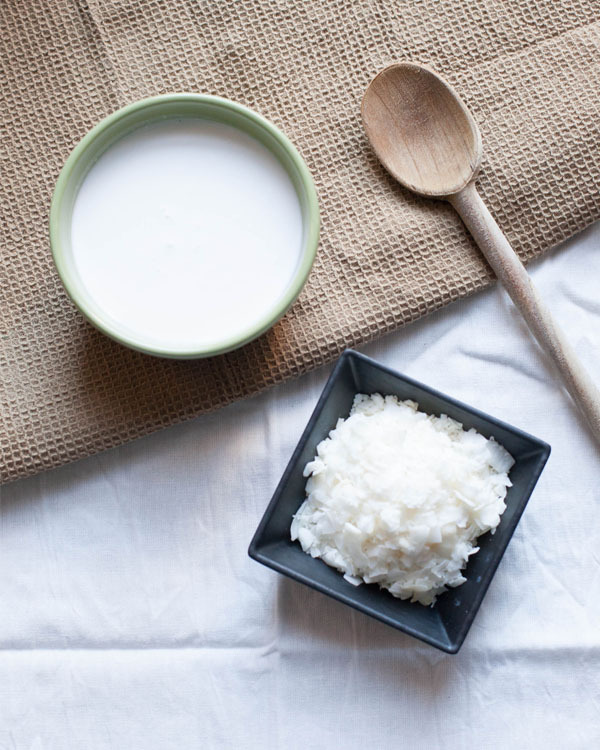 Put some cooked rice in a bowl, pour the soup on top of it and squeeze from lemon juice and serve.